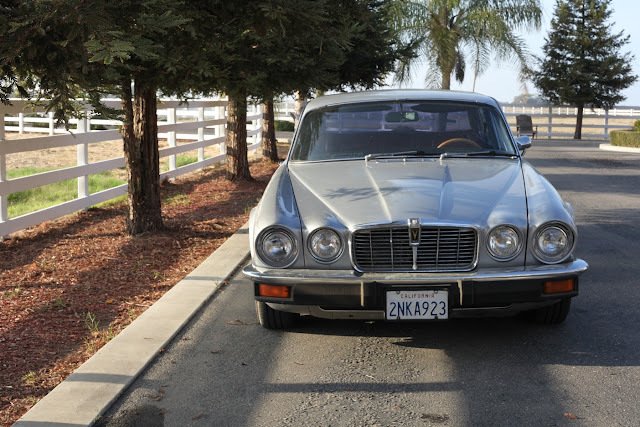 Secret Lair Labs: 1976 Jaguar XJ-12 with Chevy 350 For Sale! 1976 Jaguar XJ-12 with Chevy 350 For Sale! Hello, all my friends on the internet reading this. My friends and I are in a bit of a rough spot. We're sort of short on the rent, this month. Y'see, we're about 45 days into bootstrapping a little film business here in california, trying to run things in a 'stack-all-the-added-value' sort of way. We've got some fancy camera gear (Epic X & 5D Mk2, KesslerCrane 12' Jib, Zoom H4N & Mics), but it ain't all ours yet. We rented a fancy location to shoot and live in, but it ain't all ours yet. We're still linking up with people and pitching for jobs. 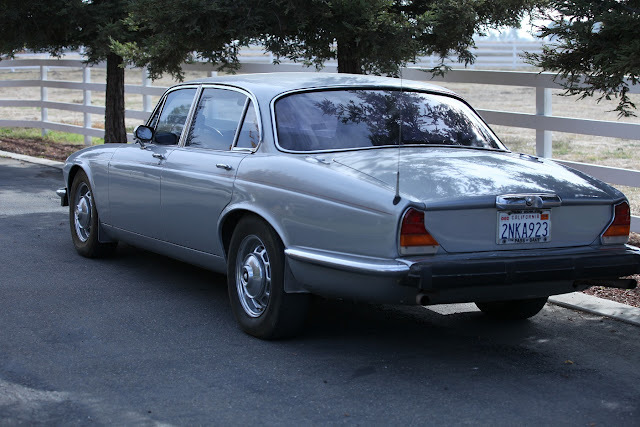 As part of our awesome film gear, we had to have an awesome car to film. She shows up in the first clip. 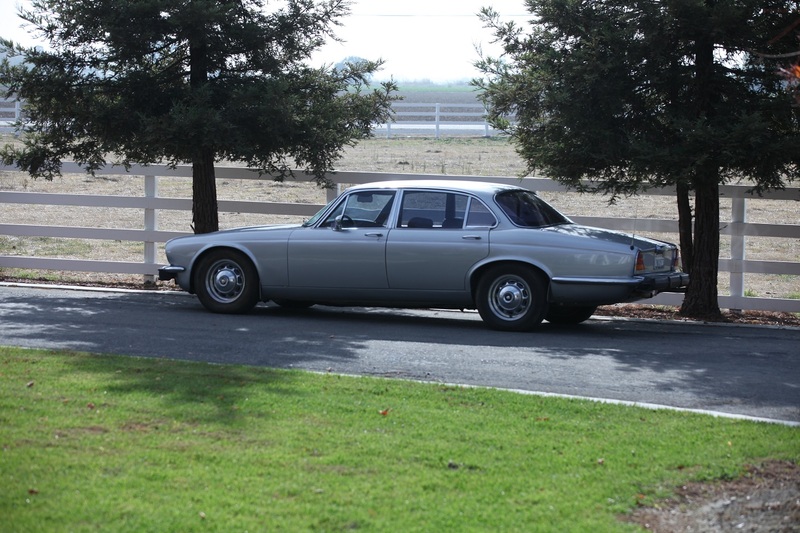 It's Nate North's Silver Jaguar XJ-12. 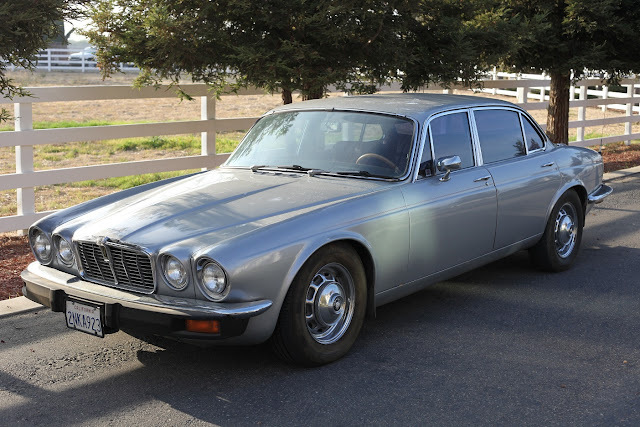 She's had her Jaguar V-12 engine replaced about 10000 miles ago with a reliable Chevy V-8 350, since the Jaguar has a relatively standard GM-compatible driveline. There are two gas tanks with a dashboard console button to switch between them. I believe it also has a T700-R4 transmission with a 30% overdrive, so for a V8, it does pretty well on the road. She's all mechanical, so if you're looking to increase milage, HHO Kits Direct has some pretty awesome holiday deals right now. Plenty of room under her hood, Power windows, Heater, Working AC, Viper car alarm controlling power locks, spiffy clean red interior. Anyway, I'll get to the point. Sadly, we're going to have to let her go. But I'd like her to find a good home. 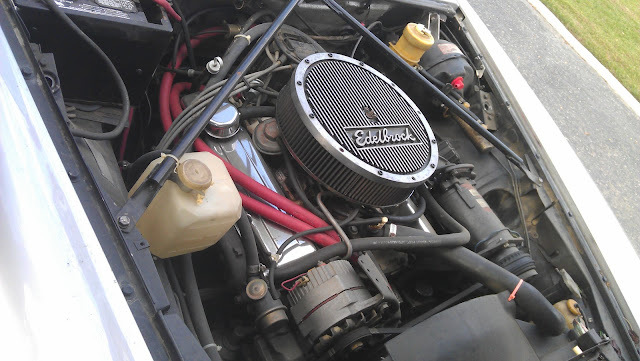 She'd make a wonderful holiday gift for a car tinkerer. That's where you come in, internet. and drive her to any destination out to as far as, maybe Texas, maybe further. I'm willing to show up at your place, christmas evening or morning to unload her, then take a Greyhound back home to Los Banos. Right now, we're asking $7000, or taking the best offer we get. I'm sorta hoping there's someone out there with some holiday spirit willing to keep us burning into January with a little more to eat with; but we are humble folk, and will continue on our diet of homemade bisquick pan-pizzas and spaghetti with various sauces. Inexpensive, yet delicious! Pass this around your G+ Circles, give us a holler here in the comments, send me an email at Kamilion@gmail.com, a voicemail* at (408) 890-7463, or track down one of my housemates on the internet, we'd love to hear from you! * My apologies, I have run out of money to pay T-Mobile this month, but Google Voice will still be happy to transcribe your message and email it to me!